Despite the boom long-distance running in Malta has experienced in recent years, much of it has been among casual runners. The elite, those who go beyond just participating and aim to win, have stayed pretty much the same. Matters, however, are finally moving in the right direction there as well. 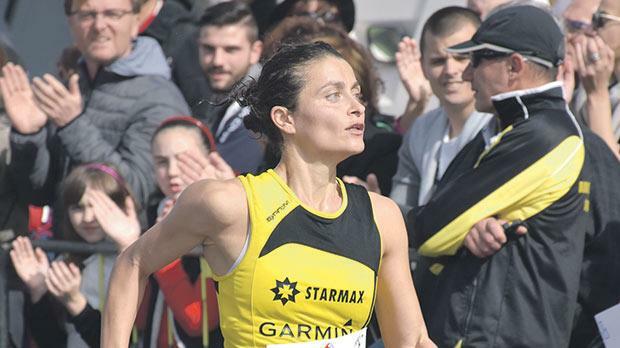 Having finished second in the Malta Marathon at the start of the year, Josann Attard Pulis went one better in the Ferrara Marathon. “In Ferrara, I was bracketed with the top five female athletes,” she said. “I started out at a comfortable pace, holding third place for the first few kilometres. “At the 10-kilometre point, I overtook the second lady and continued comfortably. At the 30K point, I came by the first lady (Nicolina Sustich) who, incidentally, had won the Malta Marathon a few weeks earlier. “I overtook her and, since I had good energy reserves, kept going even though being in first position put pressure on me. In fact, I could easily have increased the pace but was not confident enough. Attard Pulis has since won the Gozo Half Marathon. “Over the past year, my coach Mark Farrugia has been saying that my performance should be at 2:48 but I didn’t believe that I could run that time,” she admitted. “In fact, during the Malta Marathon I was cautious not to deplete my energy reserves. But, I’m refusing to pressure myself to go for that result (2.48) as yet as I want to build up to it slowly. Attard Pulis is at the forefront of a growing group of women who see running as their favourite sport. “The number of participants is encouraging. At the recent 10K race organised by Starmax for women, there were over 200 registered runners,” she said. “There is a lot of potential but runners need to join IAAF qualified coaches if they want to achieve results. Athletics Malta will soon issue a list of certified coaches on their website, including myself and my coach. This training has allowed her to step up her game even though she is still improving. “Athletics coach Peter Thompson says that ‘once a runner, always a runner, no matter the distance’ but I prefer middle and long distance,” Attard Pulis reflected. “I enjoy running and feeling tired at the end of the day. If I do not train or run, I will find difficulty sleeping! “I will soon be running another marathon in Belfast and after that I will discuss future races with my coach. I may need to include more half marathons in preparation for increased full marathon races during the year.